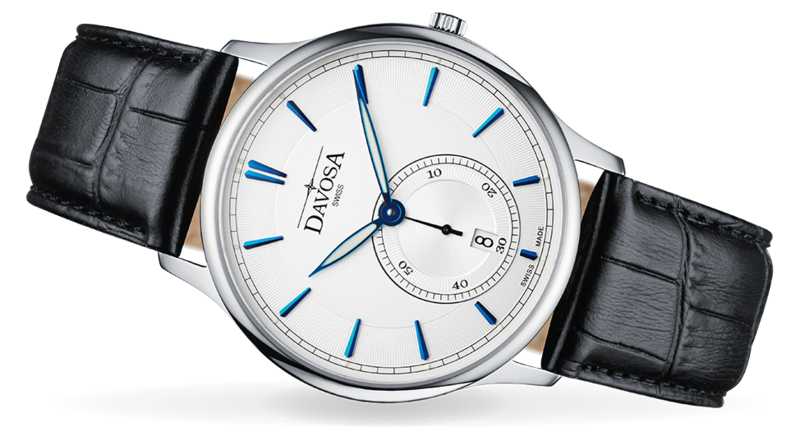 It is a fine art to integrate a complicated movement into a very flat watch. The Flatline conceals an analogue quartz movement, the second display is cleverly scaled down and moved from a central position to above 6 o’clock. The perfect symmetry of the dial design allows fine details to really come into their own.